It’s one of the nicest times of the year to be outside and we’ve got a few suggestions on where to take your machine. Check our EVENTS pages for more links. Hopefully you have been wrenching on your wheels over the winter and are ready to ride, but if you haven’t, you may may want to lend an ear to today’s discussion about wheel bearing maintenance. Get the why and how on these oft neglected but oh so important parts on vehicles and trailers. 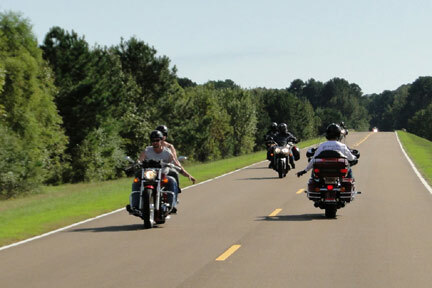 The Natchez Trace Parkway meanders for 450 miles through Tennessee, Alabama and Mississippi, retracing the trail taken by pioneers on their way west. Completely non-commercial, meaning, you have to leave the parkway to get gas or food, you can commune with wild unlike any other roadway you’re likely to find in the South. 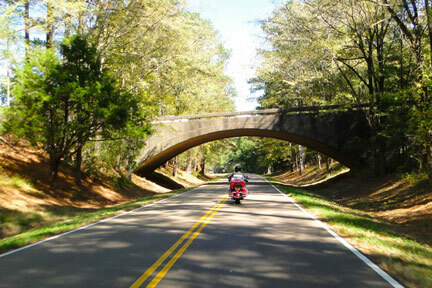 Steve Willis, our traveling Canook, takes us along for a panoramic trip down through the Deep South. Listen in below or download for later!